Why do progressive leftist always think it is about them. This applies to both sides. Now that's a movement I can get behind. Oops, lookie there. Answered my own question. When do I get my SorosBucks? I would call the number on the back of my Antifa card, but I accidentally burned it. Not my fault it vaguely resembled a flag. Who would pay for "this sort of thing"?? 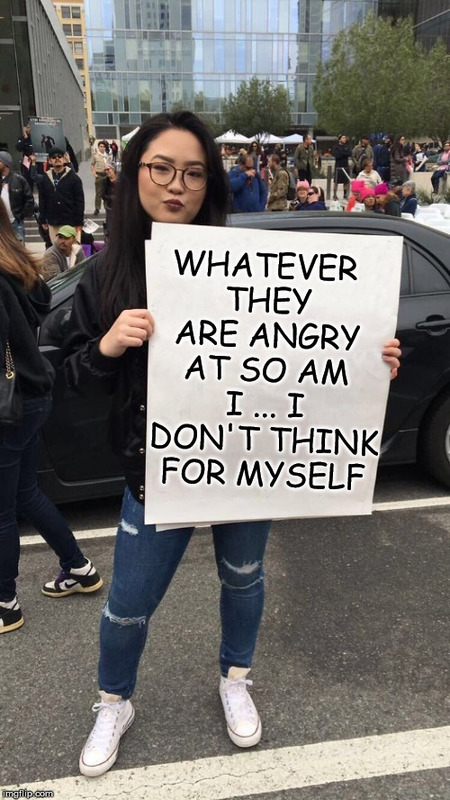 First of all, I think those protesters are British. 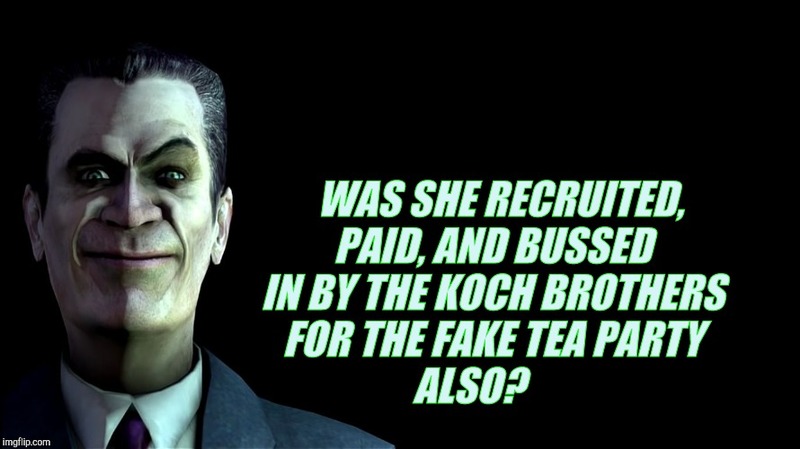 Second, it seems they are mocking protest, or poking fun at the left, which is a move Soros wouldn't bankroll. But who knows, the original meme is so vague and stoopid, it's hard to tell what's going on. Tell that to the OP. I won't be surprised if He is because that tycoon has enough money to buy influence not only in the USA politics influence but worldwide political influence, where ever Sopro have Open Society he basically owns that country's leaders. You joined to post two comments on a 4 month old meme? Oh, and no. 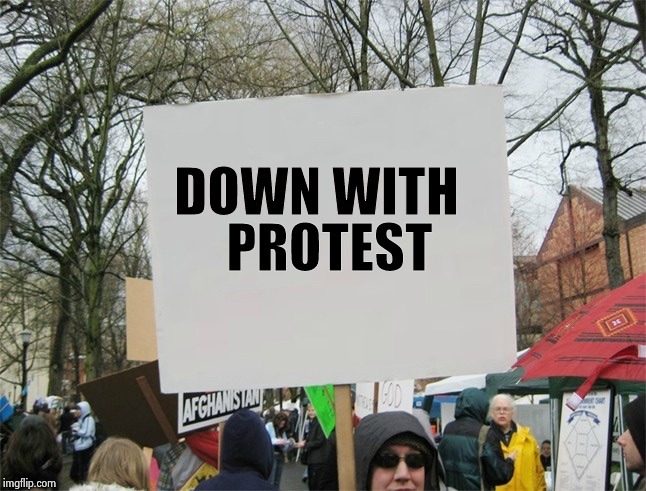 The 'protest' in the OP is meme is of jokers. 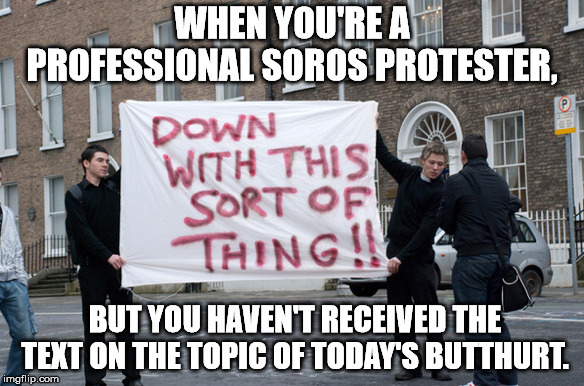 WHEN YOU'RE A PROFESSIONAL SOROS PROTESTER, BUT YOU HAVEN'T RECEIVED THE TEXT ON THE TOPIC OF TODAY'S BUTTHURT.